On March 31 of this year, I awoke to find A DXCC press release announcing the deletion of Midway and Kure Island from the DXCC List. 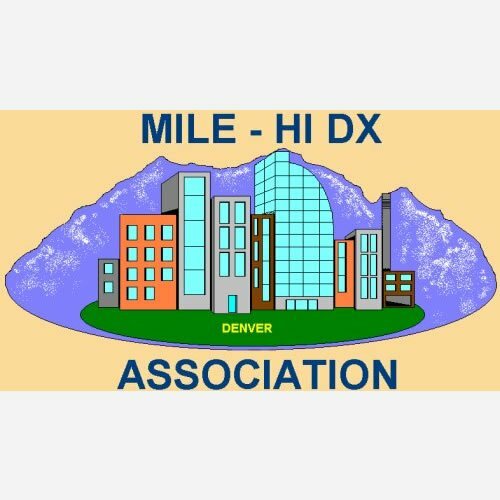 I found this hard to believe, because Midway has been on the DXCC List, both in 1937 and in 1947, since the inception of the DXCC program. The justification given in the press release was that President Obama expanded the Papahanaumokuakea Marine National Monument area on August 26, 2016. This he did. However, the area he expanded was water only. He simply expanded the water area out 50 miles, yet not one piece of land was included! Since DXCC allows only land-based contacts, this seems to suggest that there was no justification for deletion, especially a deletion based upon that particular date. Perhaps DXCC became confused about their own rules. So I did a further, in depth review of the Midway situation. I had done this before, between 1996 and 1998, as part of the DXCC 2000 Committee, but thought I should do it again, since some things had changed. What I found convinces me that there should have been no deletion of Midway, thus no deletion of Kure. One of the principles of the DXCC List criteria for additions and deletions has long been that if an entity is found to meet criteria to be placed on the list, it is not then removed if that criteria changes. I actually wrote this into the revised 1998 rules under DXCC List Criteria 3 e). Anything on the 1998 List cannot be deleted unless their status changes. Further, under Criteria, 5. Deletion Criteria, c) criteria changes will not be applied retroactively. Then, I reviewed again why Midway Island was on the DXCC List, both in 1937 and 1947. The clues begin with a short study of the early history of the DXCC program, and the rationale behind the list of countries provided at the beginning. The history of DXCC actually begins in 1935, with the publication of Clinton B Desoto’s landmark article in QST. 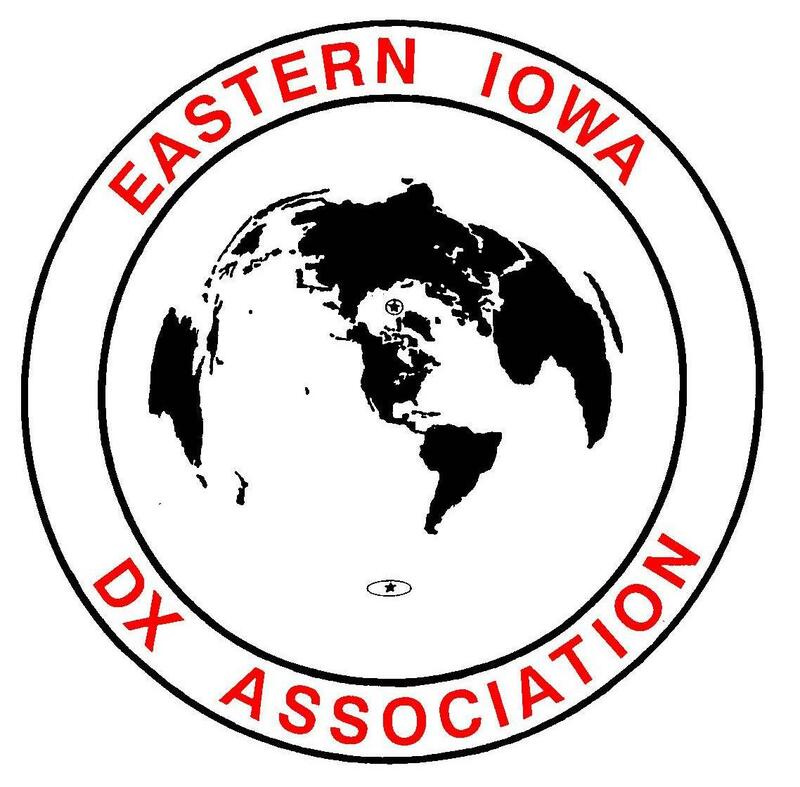 (i)In this article, which was used as the basis for the creation of the first DXCC List, first mention is made of a “discrete geographical or political entity”. Later in that same article is a discussion of islands and island groups. Groups are “constituted by several islands commonly grouped under one name and under the same political control (italics mine.) The Hawaiian Islands are mentioned in this paragraph. If you check an atlas of the day, you would find the Hawaiian Islands listed under one name, and the Midway Islands listed separately. You would find this to be true in a current Rand McNally Atlas as well. The National Geographic Atlas of the World, 2015, shows the Papahanaumokuakea Marine Monument, created on June 15, 2006. It also shows Midway separately, administered by U.S. Fish and Wildlife. (ii)This shows that at the time of DXCC List creation, Hawaii and Midway were considered separate by mapmakers and by DXCC, both in 1937, 1947, and even today. In short, it was a discrete entity, listed by mapmakers as separate from Hawaii, which indeed it was politically. To fully understand, it is best to look at the history of Midway and Kure. A Captain Middlebrook originally claimed Midway for the U.S. on July 5, 1859. It was later formally claimed by the U.S. Navy (August 28, 1867). At that time Hawaii was an independent kingdom. In 1903, President Theodore Roosevelt signed Executive Order 199-A, placing Midway under jurisdiction and control of the U.S. Navy. In 1941, President Franklin Roosevelt issued Executive Order 8682 creating several Naval Defense Zones. Midway was included in those areas. On April 22, 1988, Midway was designated a National Wildlife Area. On October 31, 1996, President Bill Clinton signed Executive Order 13022 transferring Midway to the Department of the Interior, U.S. Fish and Wildlife Service to become the Midway Atoll National Wildlife Refuge. This order remains in force. Never in any of those orders was Midway made a part of the territory or state of Hawaii, which is what would need to happen to cause a deletion. King Kalakaua Sent Colonel J. H. Boyd to Kure as a Special Commissioner, when on September 20, 1886, he took possession of the island for the government of Hawaii. Kure has always been part of Hawaii. Knowing this history, and knowing what the early DXCC philosophy was when there was no actual, published criteria, it becomes easy to see that the early assemblers of the list saw that Midway was separate from the territory of Hawaii because Hawaii was self-governing and Midway was not. That condition continues to this day. Hawaii becoming a state without inclusion of Midway actually strengthens this separation, and it is this separation, and not a specific administration, upon which the inclusion of Midway to the original DXCC Lists was based. Therefore, the status of Midway has not changed from the time it first appeared on the DXCC List until today. Further evidence is provided from the web pages of the Papahanaumokuakea Marine Monument and the Midway Atoll National Wildlife Refuge and Battle of Midway National Memorial. 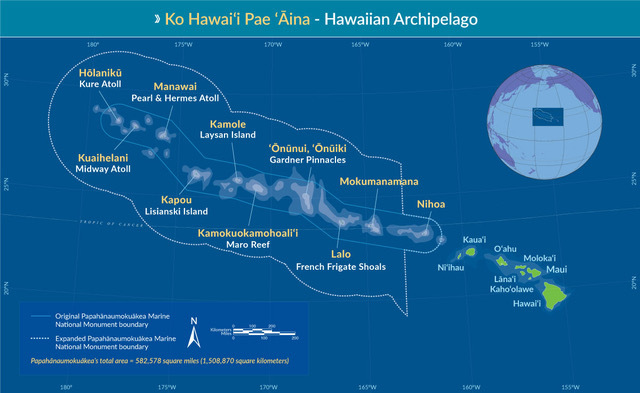 The Papahanaumokuakea Marine Monument has as its co-trustees NOAA (seas within the monument) U.S. Fish and Wildlife Service (Midway National Wildlife Refuge and Battle of Midway Memorial), State of Hawaii (all of the Hawaiian Islands) and Office of Hawaiian Affairs (Native affairs within the monument). The trustees are supervisory, with management and administration by each agency of each part of the monument, as designated. Fish and Wildlife maintains a staff on Midway. The State of Hawaii maintains a small staff on Kure to look after the Kure Atoll State Wildlife Sanctuary. If you want to do anything in the waters of the monument, contact NOAA. Each individual agency or the State of Hawaii controls access to their area. None of these administrations appears to have given up administration of their respective areas within the monument. So, the DXCC Deletion Criteria have not been met, certainly not by any action taken on August 26, 2016. Midway does meet the criteria under which it was added (separate from the Territory of Hawaii), and a change in the criteria shall not affect the status of any Entity on the list at the time of the change. Since no particular administration was named, but only that Midway was different from Hawaii at the time the list was created, then there was no reason for this deletion, and therefore, no reason for the deletion of Kure. 4. Is Midway currently an unincorporated insular territory of the U.S. and not part of the State of Hawaii? It is currently listed as an unincorporated insular territory of the U.S. by the Department of the Interior, and as such is not part of the State of Hawaii. Deleting an Entity and bringing it back to the DXCC List because a more stringent review showed the error is not new. It was done with the Cayman Islands deletion in 1960 (iii). 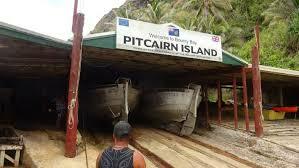 So, Midway and Kure should be restored to the DXCC List. (iii) QST, June 1958, page 97 and QST, September 1960, page 90. An excellent study of the situation. Hopefully DXAC will advise reinstatement and most if not all DXCC Challenge members will be very happy if/when this occurs. Yes Bill’s report was very thorough. He knows the rules as he was at the DXCC Desk for many years and also spearheaded DXCC 2000. I’ve heard from several members of the DXAC that they “had nothing to do with the decision, directly or advisory”. The decision was made by the ARRL Awards Committee. QRX. Thanks for a very clear & articulate explanation. Be interesting to see next development. There is no shame in making a mistake, as long as it is corrected once the evidence is there. The evidence is here, so get the two entities back onto the list ! Thanks Bill for the clear demonstration. Thanks for validating my suspicions. Don’t hold your breath waiting for the committee to admit they made a mistake! Actually the decision was not made by the DXAC. That’s right, I forgot the AC is powerless, too bad. I doubt if they would have error-ed. Thank you for your careful research of this issue, Bill. I have suspected from the start that this change was an error because Midway is still not part of the State of Hawaii. FB analysis and the evidence says the DXAC should recant and restore Midway and Kure. A well written and accurate note. I don’t think anyone needs to be fired! Thank you for this information. It is unfortunate that the committee can alter the rules like this without fully researching things. Many hams have spent much time and money working the expeditions to these entities so deletions should be fully justified. I agree, they should be reinstated. What do we need to do to get this decision reversed? I suspect for the moment just let your Director know your feelings. Thanks for the explanation. Very well presented. It does seem an error has been made. Good luck getting acknowledgement. on his competence, which he already showed, when he was in the chair of DXCC-desk for many years. The rèsumè of this research: there is no DXCC rule which supports the deletion of the two entities. So it is very advisable for DXCC to reconsider their decision and reinstall the old status of the DXCC list as it was before 31.March 2017. I was unable to understand why KH4 and KH7 were deleted. As being seen in Bill’s report, I don’t doubt that the decision of DXCC desk is wrong. Sorry to say , but courage to correct mistakes is sometimes very important. The credibility of ARRL has been questioned due to this decision. If any entity should be deleted, it should be “scaffold Reef”. K2TV. Right now the subject is KH4 and KH7K. Re: “Scaffold Reef”. If someone can’t lie down level on the ground in a sleeping bag at high tide and stay dry anywhere on the place, it shouldn’t be a DXCC “entity”. As I said earlier the subject is KH4 and KH7K. I get that many people don’t agree with BS7H being on the DXCC list. That is another subject for another time. At the moment the subject is “The Unfortunate Deletion of KH4”. Every one of these points was clearly and articulately presented to the ARRL last year as early plans for a KH4 DXpedition were developed. It was indicated to us at that time that these entities were not subject to removal. Why does the ARRL still have a DX Advisory Committee, if it does not seek or follow the Committee’s advise? Thanks for giving all of us an insight, Bernie, from Bill’s wealth of knowledge on this matter. saving face, I guess, which we all have had to do in our ham lives. let our directors know our feelings. Hopefully The ARRL will correct and acknowledge its mistake, well at least correct it, acknowledging that they made a mistake will be hard to get unfortunately! Now the greatest question is, how long to get this accomplished so people can receive their due credit for their DXCC awards!!! Therefore the obvious question is, if DXAC had nothing to do with this KH4/KH7 deletion decision, who has made it? The list of their names and callsigns would be very interesting to read. The question now is: Is anyone doing anything about appealing this? or do we know it already is under review? I would suspect K5FUV and K5YY, with DXAC experience, would at least know what the next steps are. And out of simple curiosity, I, too, would be interested in knowing who made this decision in the first place – and how…. We all are waiting for the KH4 reversal. I don’t know what all the fussin’ and fightin’ is about…with the deletion of Kure and Kingman, I’m two steps closer to Honor Roll! Wheeeeeeee! I think Paul VK4MA has hit the nail right on the head. Was it politics or a mistake? Hello Everyone.. I wonder if ARRL has read this excellent text / analisis ? It worth for all of us, but.. “God” ARRL mus read this and take immediate action!.. Thanks Bill for this ! Something is happening as I’ve had several guys report looking at their DXCC numbers in LoTW and now having credits again for KH4 and KH7K. There are now 339 current countries on the LoTW DXCC Charts. QRX for more details. Nice that they recognized an error had been made and reversed the decision!